Marine Service serves the Charlotte, NC area with new boat sales, used boat sales, outboard motor sales, boat customizing, and boat repair. We provide honest, dependable products and services at low prices to boaters in the Southeast. 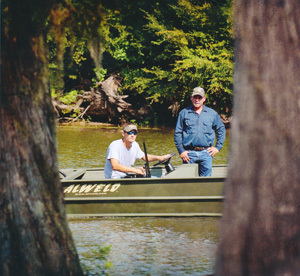 Marine Service is Rock Hill, SC’s local Alweld boat dealer. Alweld boats range in size from 10-28 feet and come with either a side console or a center console. We are also an authorized dealer for Yamaha outboard motors, Tohatsu outboard motors, and Suzuki outboard motors. Marine Service offers financing options for qualified customers. Financing through Yamaha is available for purchases of Yamaha outboard motors or packages (boat, Yamaha motor, trailer, and accessories). Financing through Tohatsu is available for purchases of Tohatsu outboard motors or packages (boat, Tohatsu motor, trailer, and accessories). Call us to learn more about these programs and how they can help you afford the boat you’ve always wanted!